consultation to find out how we can help. Why Hire DC Immigration Attorney Victoria Kuzmina? 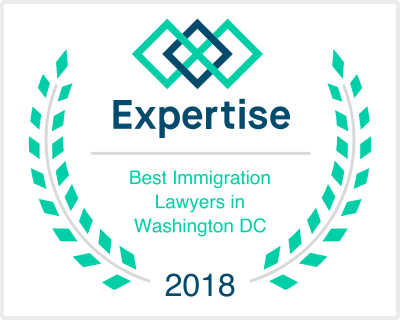 Victoria Kuzmina, a DC immigration attorney, has been selected as The Best Immigration Lawyers in Washington DC by Expertise, Rising Star 2018 by American Institute of Legal Advocates, and “10 Best Attorneys” for DC by American Institute of Legal Counsel, among others. Victoria focuses primarily on employment, business, and family immigration. She personally handles all cases from start to finish, which means you will work directly with Victoria, a DC immigration attorney. Once you become a client, Victoria will be accessible by email, text, or phone. If she cannot respond immediately, you will hear from her within 24 hours. Furthermore, Victoria is fluent in English and Russian. Our immigration practice is 100% client-driven, which is why we take the time to sit down and identify your needs before crafting the best legal solution. Our DC immigration attorney, Victoria Kuzmina, is dedicated to your successful outcome. She personally went through an immigration process, which makes her a tenacious advocate for your successful visa or green card application. A consultation is a confidential opportunity to discuss your situation, goals, and get your immigration law questions answered by an immigration attorney. A consultation with our knowledgeable immigration attorney is available by phone, Skype, or in person. Our goal is to provide affordable representation to all. Phone consultations are based on flat fees and last up to 60 minutes. I had the pleasure of working with Victoria in 2017, and I was impressed with her professionalism, knowledge of the law and her strong desire to help. I would definitely recommend her, and look forward to working with her again in the future! I had a great experience with Victoria. I consulted with her on EB-2 and EB-3 employment green cards and she gave me a solid advice. Eventually I had to adjust my status and Victoria handled the whole process for me. Victoria was incredibly nice and my green card process went smoothly. Ms. Kuzmina consulted my fiancée and I during a complicated visa/immigration ordeal. She was kind and consoling, but direct, to the point and very thorough. She always followed through, and in a very timely fashion. We are both incredibly grateful for contacting Ms. Kuzmina and utilizing her proficiency and consultation. Highly recommended for those in need of an attorney. Victoria Kuzmina, a DC immigration attorney, has been selected as The Best Immigration Lawyers in Washington DC by Expertise, Rising Star 2018 by American Institute of Legal Advocates, and “10 Best Attorneys” for DC by American Institute of Legal Counsel. 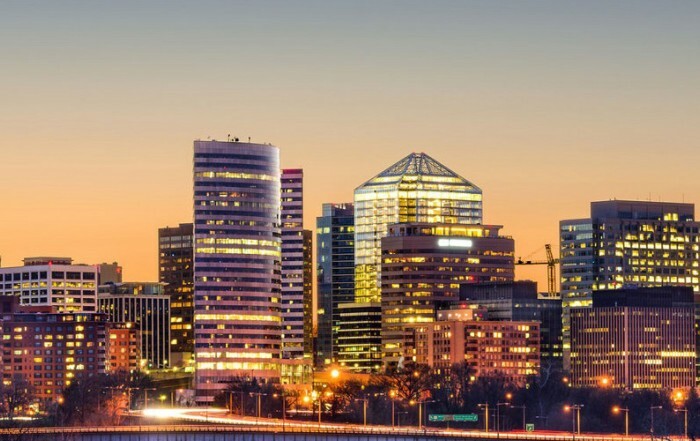 Our dedicated Washington DC immigration attorney has successfully assisted with matters involving employment immigration, temporary work visas, visas for startups, entrepreneurs and investors as well as family immigration. We serve clients from all 50 states and worldwide with the main office located in Washington, DC. We strive to provide convenient and fast professional legal services through current software, as well as make it easy to communicate with us via phone, email, or skype. HOW CAN OUR DC IMMIGRATION ATTORNEY ASSIST YOU? First, you should consider hiring a licensed immigration attorney who is experienced with various employment and family immigration cases. Some immigration matters can be straightforward and go smoothly. Other immigration matters can involve complex issues, which require strong knowledge of the immigration laws and policy. Second, thorough preparation and timely document filing is also very important for a successful outcome. Finally, working with an immigration attorney you feel comfortable with makes this stressful experience more manageable. Our DC immigration attorney Victoria Kuzmina will take the time to understand your circumstances, explain your options and applicable immigration laws, answer your questions, and return your phone calls in a timely manner. Why Choose DC Immigration Attorney Victoria V Kuzmina? Victoria Kuzmina, a Washington DC immigration attorney, offers a wide range of immigration services to professionals, start ups, businesses, and families. Victoria Kuzmina practices exclusively US Immigration and Nationality law and has been selected as one of The Best Immigration Lawyers in Washington DC for 2017 and 2018 by Expertise. Further, Attorney Kuzmina has been nominated as one of the 10 Best Immigration Attorneys for client satisfaction in District of Columbia by American Institute of Legal Counsel in 2017 and Rising Star of 2018 by American Institute of Legal Advocates. Attorney Victoria Kuzmina has assisted IT professionals, entrepreneurs, business owners, investors, performers, scientists and researchers, as well as athletes and coaches with obtaining temporary work visas and employment-based green cards. Attorney Kuzmina has also assisted many families with K-1 fiancee visas, adjustment of status, removal of conditions on permanent residence, and green cards for immediate relatives. Mrs. Kuzmina personally handles all cases from start to finish and is dedicated to the successful results. Schedule a consultation with our Washington, DC immigration attorney Victoria Kuzmina to see how she can help you with matters involving temporary work visas, employment-based green cards, family-based green cards, as well as naturalization. We can also assist you with obtaining temporary work visas, including H-1B professional worker, E-1 and E-2, L-1, as well as O visas. Whatever your needs might be, our Washington DC immigration attorney is dedicated to your immigration success. Contact our DC immigration attorney today to receive immediate assistance with your work visa matter. There are many ways to obtain permanent residence. One of them is immigration through your employment in the US. Words that describe employment-based immigration include: employment immigration, immigrant work visa, employment green cards, and permanent work visa. They all mean the same thing – permanent residence through your employment. In most situations, like EB-2 and EB-3 categories, your US employer will have to sponsor you. However, there are exceptions to this general rule – EB-1 Extraordinary Ability Worker visa and National Interest Waiver (NIW) do not require a job offer, nor do they require PERM Labor Certification. You or your employer are welcome to consult with our DC immigration attorney to find out how we can assist you in obtaining a permanent work visa. Entrepreneurs have various routs of obtaining permanent residence and work visas through their company. If you are a foreign entrepreneur who is seeking to start and grow a business in the US, depending on your goals, business plans and achievements, you might qualify for either a temporary work visa or an employment-based green card. Temporary work visas for entrepreneurs include E-1 treaty trader visa, E-2 treaty investor visa, H-1B specialty occupation visa, L-1 intracompany trasferee visa, O-1 extraordinary ability visa, as well as the startup visa known as the International Entrepreneur Parole (IER). If your long-term goal is to work permanently in the US, then an employment-based green card might be a better option. Permanent work visas for entrepreneurs include EB-1A extraordinary ability green card, EB-1C multinational executive green card, and EB-2 National Interest Waiver green card. If you have questions about the application process or which route might be better for your needs and goals, contact our DC immigration attorney for a consultation. Our DC Russian-speaking immigration attorney, Victoria Kuzmina speaks fluent Russian. DC Russian immigration attorney Kuzmina serves Russian-speaking immigration clients in US and abroad and has already assisted citizens of Azerbaijan, Latvia, Lithuania, Poland, Russia, and Ukraine. Whether you want to file for a green card at a consular office abroad, adjust status in the US based or apply for a work visa, our DC Russian immigration attorney is determined to assisting you. We offer flat fee consultations and case evaluations. During your consultation, you will have a chance to personally talk to the DC immigration attorney Victoria Kuzmina and discuss your immigration goals and circumstances. Further, our Washington DC immigration attorney will review possible options that might be available in your situation, discuss applicable timelines, government filing fees, and answer your questions. Even though you have no obligation to hire the Law Offices of Victoria V Kuzmina, if you are interested, we will discuss how your case would be handled if you become our client and the applicable attorney’s fees.